Some weeks ago, I informed you about our having revised the user guide for our visual service planning add-in, the VSS. 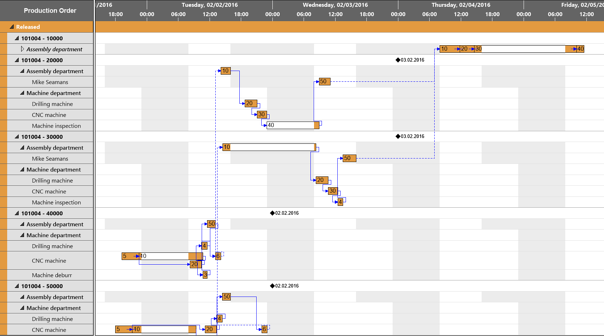 Of course, we have also been busy working on our other Gantt chart add-ins for visual scheduling. 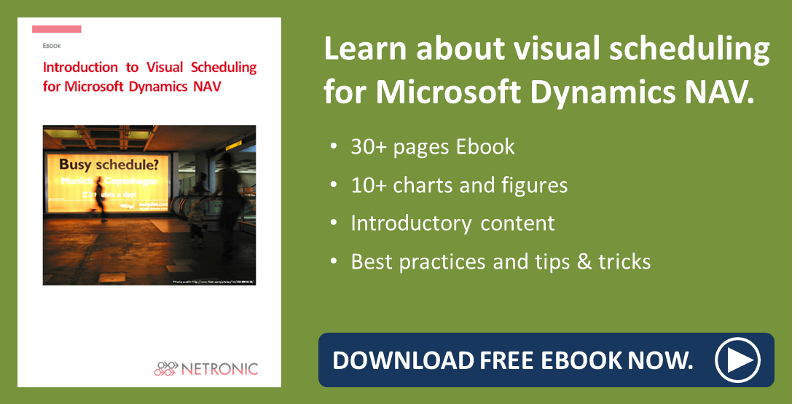 Next in line for a comprehensive overhaul and updating was the manual of the VPS, our Gantt chart add-in for visual production planning in the Microsoft Dynamics NAV Manufacturing Module. So, let me inform you today about what is new in the VPS manual that can be downloaded from our website as of now. At the same time, I'd like to take the opportunity to recall for you some perhaps small but nevertheless useful features of the VPS. Don't take the default settings as "set in stone" - remember that either tooltips and bar labels can be customized to your needs for the purpose of providing still more customer-relevant information in the planning table. Moreover, this feature once again shows how seamlessly and smoothly our add-in integrates in NAV as it directly shows and accesses the NAV data. In both cases, a dialog allows to specify the text to be shown in the tooltip or as bar label by selecting the desired NAV data from a list, either by adding or removing them. Tip: If you miss certain fields in the NAV data list, be sure to click the desired category you want to select from. In the example above, I have selected Work Center in the Production Order View. Remember that the VPS not only allows to use links for visualizing the dependencies within orders that are definded as “make to stock” but also lets you show links of the different production order lines whithin one production order when the item is defined as “make to order”. These links appear as dashed lines as shown below. In the "Setup" dialog of the VPS tick the "Show links between Prod. Order Lines" checkbox in the "General" area. This causes additional dashed links between dependent Production Order Lines to be shown. Use the comfortable sorting options for orders, work centers, due dates, etc., depending on whether you want to find orders faster, e.g., or have to keep an eye on due dates.The different grouping levels (status, production order line, work center/machine center) in the table offer according sorting criteria. The sorting options can be found in the table context menu. Click here for the revised manual and additional information on the VPS like the latest Release Notes and some interesting FAQs. Want to have more tips about visual production scheduling? Read how you can manually extend capacity and speed up delivery.